We are delighted to announce our Visiting Lecture Series lineup for the Spring 2017 season. Read more below about Gillian Crampton Smith, Jeffrey Kapec, Bibi Seck, Debera Johnson, and Cameron Tonkinwise below! Jeffrey Kapec is a Principal and Executive Vice President of Tanaka Kapec Design Group, Inc. He has more than 30 years industrial design and consulting and strategic product development experience in medical instrument design—including orthopedic instrument design and other surgical instruments, medical diagnostic equipment, pharmaceutical packaging, drug delivery systems, technical instruments, office equipment, office furniture design, and consumer products. Jeff has been awarded more than 45 national and international utility and design patents in advanced technology, surgical instruments, and mechanical design. In 1980, he and Kazuna Tanaka founded TKDG, a full-service engineering design and industrial design consulting firm. Mr. Kapec also is a professor in the Industrial Design Department at Pratt Institute, Brooklyn, NY, and is actively involved in numerous professional design organizations, including the IDSA, Rowena Reed Kostellow Fund and the Human Factors and Ergonomics Society. 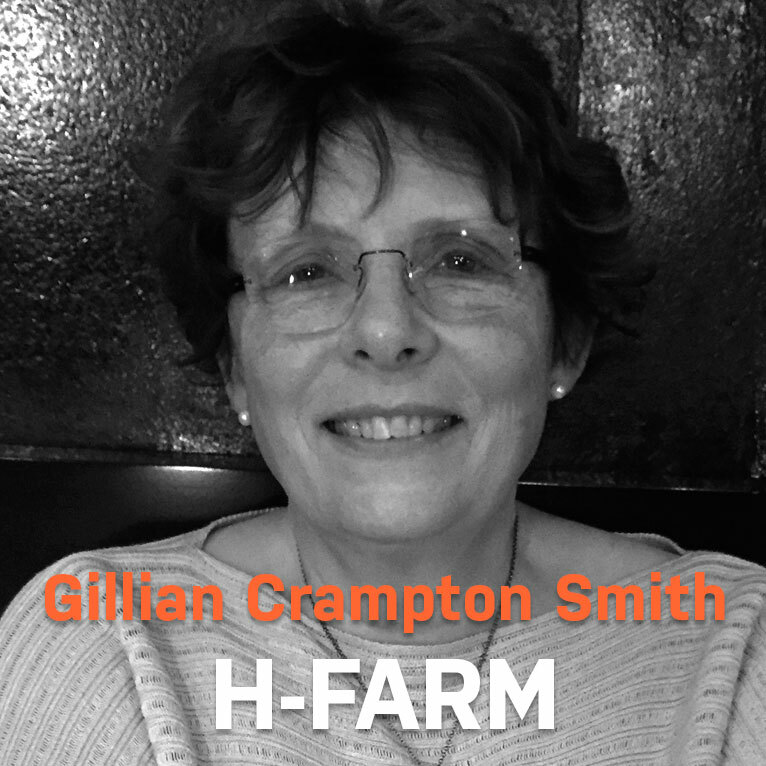 Gillian studied Philosophy then Art History at Cambridge, and worked as a typographer and graphic designer. She was Director of the computer studio at London’s St Martin’s School of Art, where she started a graduate course, one of the first in the world, to help graphic designers realize the potential of computers in their field. She was awarded a personal chair in Computer Related Design at the Royal College of Art (RCA), where she founded the Computer Related Design (later Interaction Design) department and its research center. In 2000 she co-founded and was the first Director of Interaction Design Institute Ivrea, established by Telecom Italia and Olivetti for advanced teaching and research. Over 2006–14, with Philip Tabor, she started and ran the Interaction Design route in the Master of Visual and Multimedia Communication program at Iuav University of Venice. She has worked in Silicon Valley as an interaction designer at Interval and Apple, and is advisor to MIT’s SenseAble City Lab and Honorary Professor at Potsdam University of Applied Sciences. In 2014 Gillian received the Lifetime Achievement in Practice Award from ACM, the leading international professional association for computing. We are pleased to have Cameron back for his annual lecture! Cameron Tonkinwise is the Professor of Design at the University of New South Wales Art and Design in Sydney, Australia. He was previously Director of Design Studies at Carnegie Mellon University, and Associate Dean Sustainability at Parsons The New School for Design. Cameron’s background is in philosophy of technology and he continues to research how the practice of design can benefit from more comprehensive understandings of material culture and use value. Cameron teaches and publishes in the areas of Service Design, Sharing Economies and Practice-based Design Research. His current research focus is design-enabled collective decision making with regard to large-scale risks, and East Asian philosophies of design. Debera Johnson is the executive director of the Center for Sustainable Design Strategies (CSDS) and the Brooklyn Fashion + Design Accelerator (BF+DA) at Pratt Institute in NYC. Using Pratt as her platform, she has has been integrating design, sustainability and technology into academics, design research and practice for 15 years. Deb served as chair of the Industrial Design program at Pratt from 1997-2005 during which time she founded the Pratt Design Incubator. She was appointed Academic Director of Sustainability at Pratt in 2008 and established the CSDS, which offers students and faculty resources for integrating sustainable best practices into their work. Two years ago the Incubator was granted over $1.5 million in funding to transition into the BF+DA—a hub for ethical design and production that mentors emerging ventures and fashion technologists. Recently she received a $486K federal innovation grant from the EDA to support research projects at the intersection of sustainability, technology and manufacturing in the apparel industry. Deb loves collaboration, hosting dinner parties and getting things done. Bibi Seck is the Co-founder of the award-winning design and innovation studio, Birsel+Seck, and the founder of Dakar Next, a design studio-laboratory in Dakar, Senegal. Bibi was born in Paris and spent his formative years in London, Paris and Dakar. He received his Master’s degree in industrial design in 1990 from ESDI, Paris. Before moving to New York in 2003, Bibi was lead designer at Renault for 12 years and has extensive experience in materials and manufacturing, and guiding large design teams through complex problems. Bibi Seck led the interior design teams for several production vehicles, including the Scenic I, Twingo II, Trafic, and Scenic II. Scenic I (1996) and Trafic (2002) won Car of the Year awards from the European trade press. While at Renault, Bibi designed the F1 Micrograph watch for Tag Heuer, winning the prestigious 2002 Prix d’Horlogerie de Genève. Bibi has taught at Strate College School of Design and Management in Paris, at Université Technologique de Compiegne, and most recently at Pratt Institute. Originally from Senegal, Bibi is dedicated to bringing good design practices to West Africa, demonstrating the value of design as an economic resource in developing countries.